Our hygienic triple glove box holder will leave surfaces clear and clean and will provide a long lasting and easy dispensing solution. 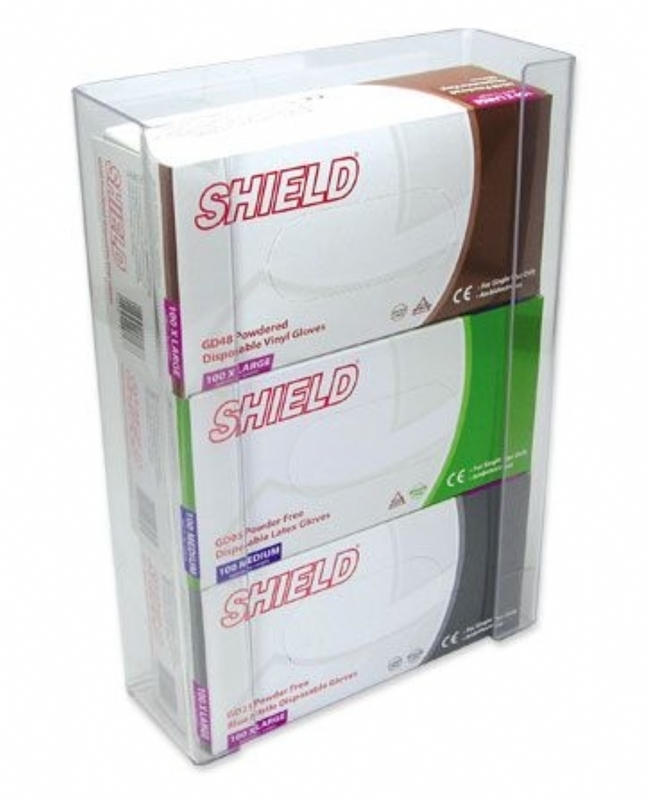 Ideal for holding 3 boxes at a time from our disposable glove range. •Dimensions: 266mm x 99mm x 392mm.